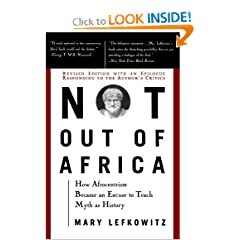 Dr. Mary Lefkowitz is Mellon Professor in the Humanities, Emerita at Wellesley College. She is the author of Not Out of Africa, Black Athena Revisited*, and History Lesson. She has also written several books about ancient Greece, including Women in Greek Myth and Greek Gods, Human Lives: What We Can Learn from Myths and many others. She will be talking about the “Black Athena Controversy”, the notion that Greek culture was stolen or borrowed from Egypt, and her attempts to talk about evidence-based history in the era of post-modernism and political correctness. We’re back to our usual place and time this month, upstairs at Tommy Doyle’s on Monday, November 28 at 7 PM. Feel free to sign up on our Facebook event page. [*] which she edited with Guy Rogers, though for some reason the Amazon page doesn’t mention him. The world didn’t end two weeks ago, but it could happen at any time! 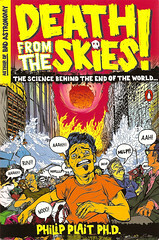 Our December book (if we survive that long) will be Phil Plait’s Death From the Skies. We will be meeting at our usual winter quarters, in Harvard’s Northwest Science Building, 52 Oxford St, Cambridge, at 3 PM Saturday, December 3. We’ll either be in the cafeteria on the 1st floor at the south end of the building, or in the conference room at the north end. Mary posted directions last month. Sign up on the Facebook event page if you are so inclined. Meanwhile, for your further enterrortainment, here’s the short version of the book. Hey everyone, just an update on Book Club at 3pm: We’re meeting at the same place we met for the last meeting, Conference Room 169 in the Northwest Building at Harvard (52 Oxford St). Directions are here. Andy and I shall be there early to let people in the building. We’re meeting to discuss Stiff by Mary Roach. Bring a snack if you want (you may want to avoid anything that resembles organs and blood, so save the kidney pie for next time). 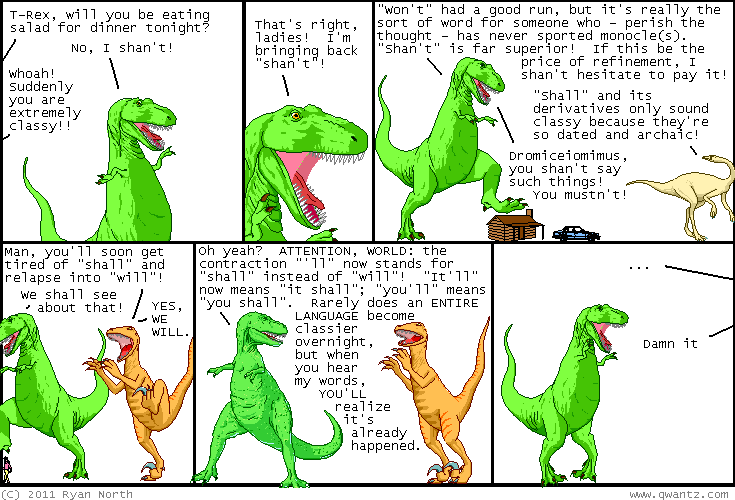 You shan’t be disappointed!